Here is another one sheet wonder. 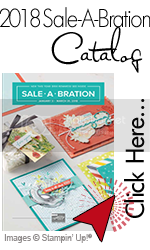 I need to start using some of the retired Stampin Up DSP that I've been hoarding to make room for the new release in the upcoming catalog. The template I found on the internet and can be found here. 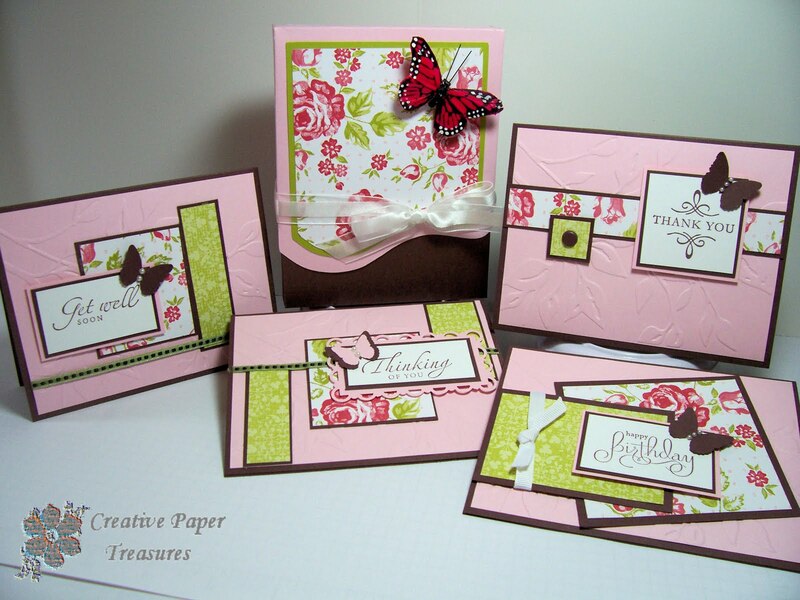 For this card set I've used the retired Bella Rose dsp with chocolate chip, kiwi kiss, pink pirouette and whisper white cardstock. I embossed the pink pirouette layer with the A2 leafy branch Cuttlebug embossing folder. 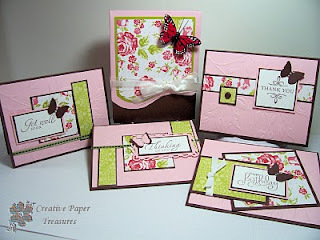 The small butterflies are from the MS butterfly punch but I think that Stampin Up butterfly embosslit would work also. The large butterfly is from my stash. The box is made from a third party template. Leave me a comment if you like this or have any suggestions for improvement. Accessories: MS butterfly punch, Whisper white grosgrain & organza ribbon, Self adhesive pearls, brad and large butterfly from stash & brad. these are really pretty! I love the color combos! 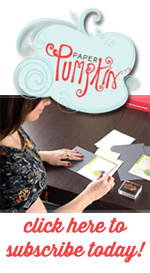 could you tell me (or email me) which template that you used for the box..I really like the look of it!